This isn't the first time I've dappled in a salsa featuring fruit. There's the ever-popular fruit salsa served with cinnamon pita chips and that time I topped salmon with a tomato peach salsa. In both cases, the salsa was more sweet than savory. 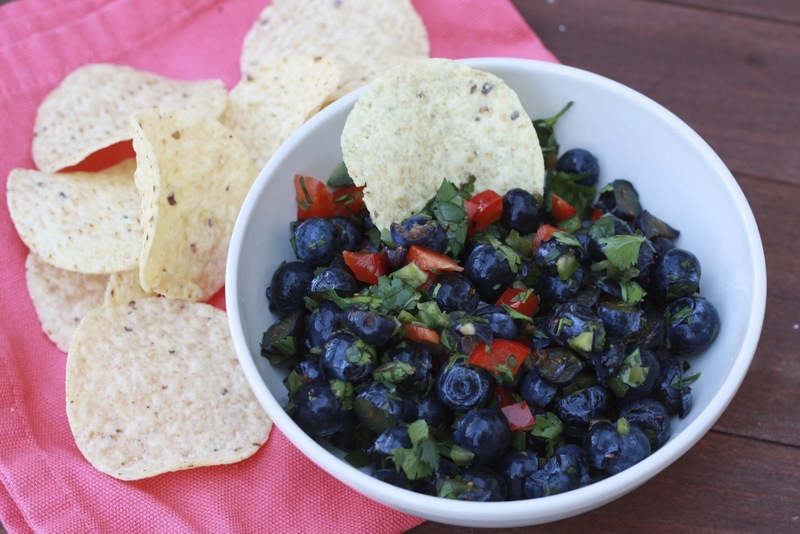 This blueberry salsa broke the mold a little bit. You think blueberries, you think sweet, right? 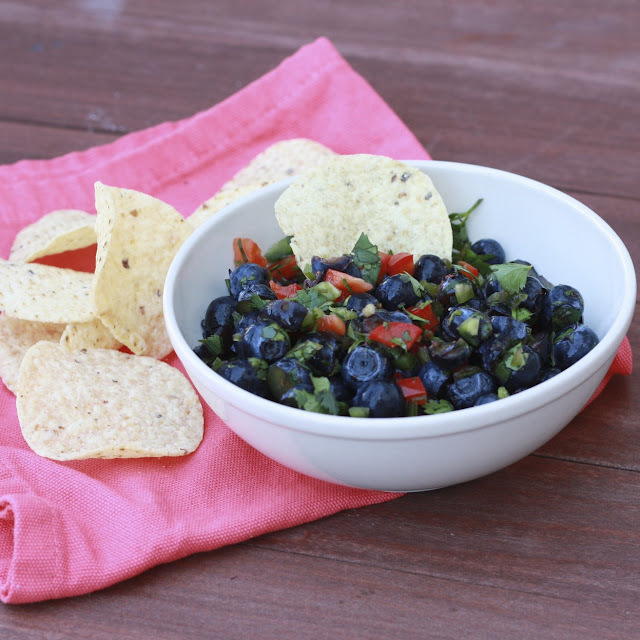 Add an entire jalapeno and suddenly you've got spicy blueberry salsa! Amazingly, the original recipe called for TWO whole jalapenos. I mistakenly only picked up one from the store, which turned out to be a blessing in disguise...our mouths were fiery enough with the addition of one! Personally, I loved the sweet and spicy combo happening here. Each bite was simultaneously hot and cool, further tempered by the salty crunch of tortilla chips. This is best made ahead of time to let the flavors mingle, and leftovers will keep covered in the fridge for a few days. We ate this as an appetizer with chips, but you could also use it atop some grilled chicken or fish! 1. Toss together coarsely chopped fresh blueberries, whole fresh blueberries, fresh lemon juice, cilantro, jalapeno peppers, bell pepper, and salt in a large bowl. Serve immediately or cover and chill for 8 hours.